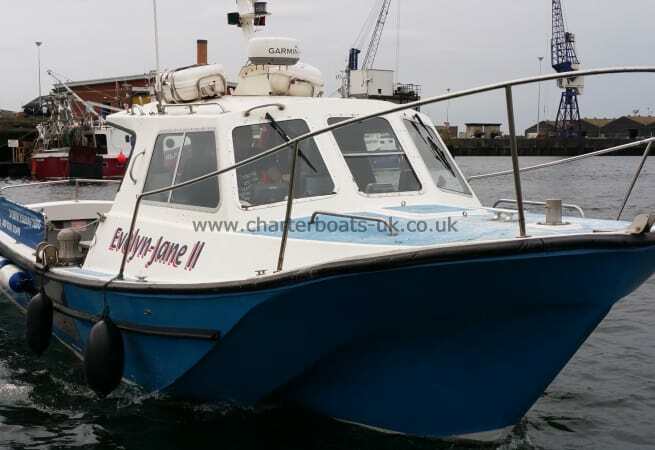 Evelyn Jane II is an Offshore 105 purpose built charter boat powered by a 400 hp Iveco turbo diesel engine. 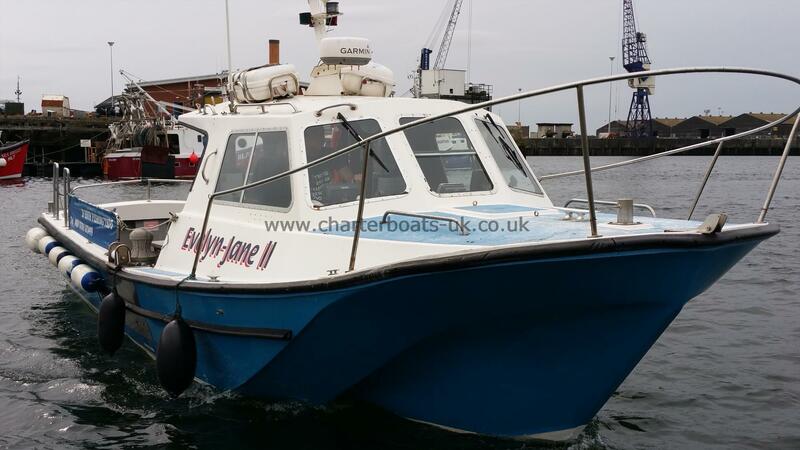 She is capable of speeds over 20+ knots, cruising at 16 knots. Licensed and insured for COP 20 miles. Also Licensed for parties of up to 12 anglers. There is Tackle for sale on the boat and rod and reel hire available, please request when booking. Fully equipped with all safety essentials, life rafts and DCS radios. She is Kitted out with all the electronic equipment to find the fishing marks. Large stable deck with plenty of space for anglers. Evlyn Jane II is £40.00 per day per head.